The Government has defined eight key tasks to help the Mekong Delta achieve sustainable development, Prime Minister Nguyen Xuan Phuc stressed in a document responding to queries from National Assembly Tran Thi Hoa Ry regarding development in the country’s largest granary. 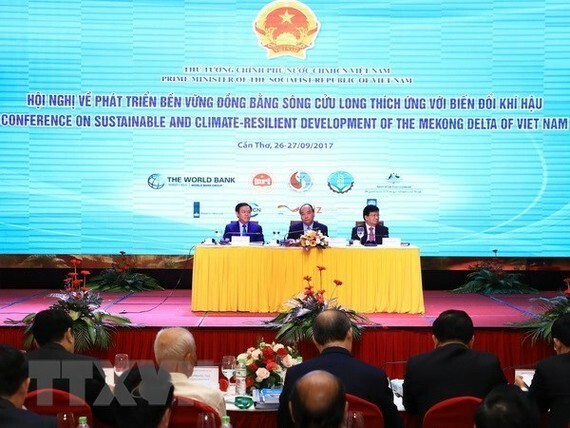 The document said the tasks had been outlined in the Government Resolution 120/NQ-CP dated November 17, 2017 following a conference on sustainable development in the Mekong Delta in adaptation to climate change in September the same year. First and foremost, the government will build a master plan for agricultural development in the region in the context of climate change in combination with restructuring the agricultural sector, building new style rural areas. Second, the government will adjust the strategy and plans for agricultural development for the entire region to make them suit the region’s sub-ecological regions in connection with the three key groups of commodities which are aquatic products, fruit and rice, and in the direction of reducing the area of rice and other crops that require large volume of water but have low commercial value. The government will review and fine-tune mechanisms and policies to encourage the application of science-technology, especially hi-tech and bio-technology in agricultural production along with restructuring the sector and promoting the new rural area building campaign. At the same time, new mechanisms and policies will be designed to the goal of developing large-scale commodity production in the region and attract investment in agriculture and rural development. There will be policies to develop agricultural value chains, promote industrialisation of agriculture and modernize post-harvest technology with a view to increasing quality and value of agro-forestry and aquatic production. The fisheries sector will be developed into one of the spearhead industry of the Mekong Delta, while the existing natural forests will be preserved alsong with restoring and expanding mangrove forest and protection forest. The Mekong Delta’s planning on irrigation and natural disaster control to 2030 with a vision to 2050 will be revised to ensure readiness for the worst scenario. A scheme on protecting the coastline, strengthening the sea dyke system and preventing coastal erosion will be built, along with plans on river control and use of land along rivers. The government will work with the Ministry of Labour, Invalids and Social Affairs to develop projects on vocational training and job generation for agricultural workers and rural labourers, with a view to reducing the workforce in agriculture. He added that the government will strive to complete the master plan for agricultural development in the region in the context of climate change as early as possible, as it will be the foundation for regional localities to design their own master plans and ministries and agencies to implement related programmes. According to the PM, the government will continue to study specific mechanisms and policies for the Mekong Delta and invest in large-scale transport projects with widespread impacts such as the Trung Luong-Can Tho highway and the Quan Chanh Bo canal for big ships to enter the Hau river. 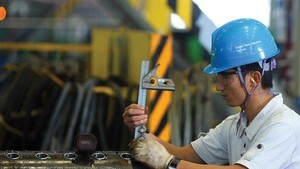 The government will soon finalise the project on establishing the Phu Quoc special administrative-economic unit and the draft law on special administrative-economic units to submit to the fifth session of the 14th National Assembly for approval, thus laying the legal foundation for the development of Phu Quoc Island as a new driver of the Mekong Delta.